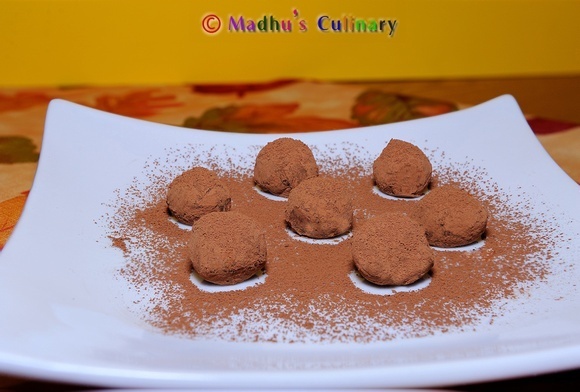 Eggless Chocolate Cupcake ->Suvayo Suvai | Simple Vegetarian Recipes, Easy to prepare and healthy to eat! 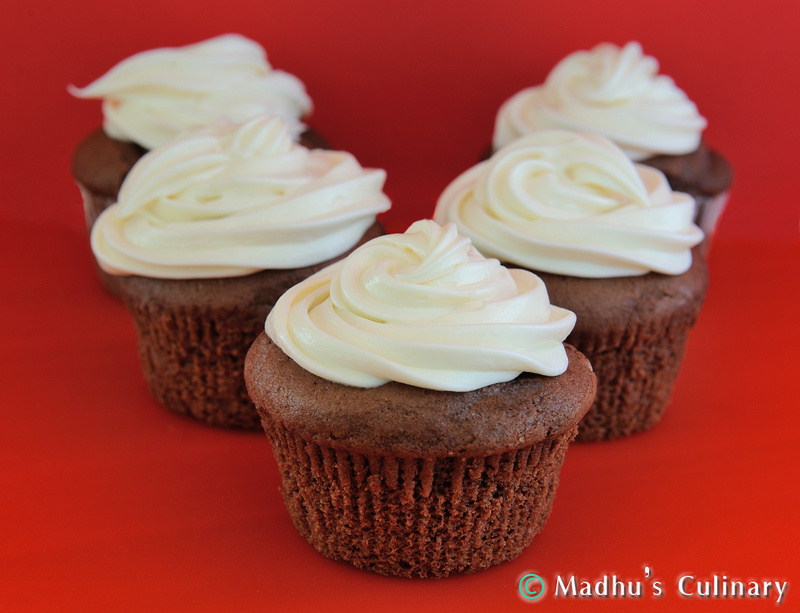 Thanks to my favorite Eugenie Kitchen, I was finally able to make an awesome and yummy Chocolate Cupcake. 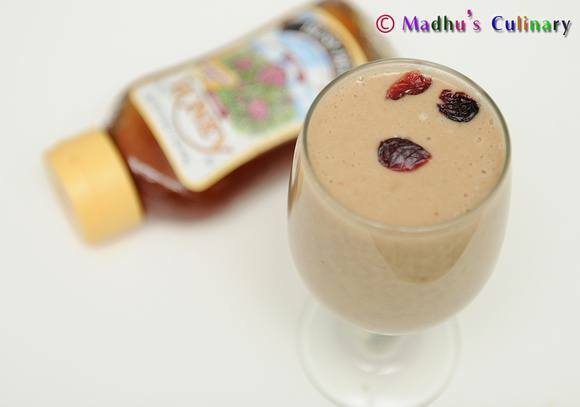 Best part is , it’s Eggless. Sieve, mix and keep aside the dry ingredients aka Baking Soda, Baking Powder, All Purpose Flour, Unsweetened Cocoa Powder and Salt. 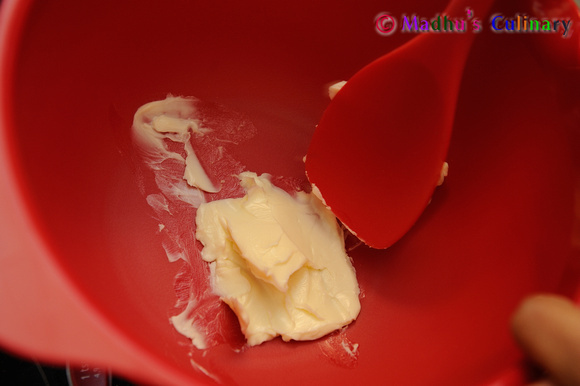 Take a mixing bowl and add the Butter and make it into a greasy paste. 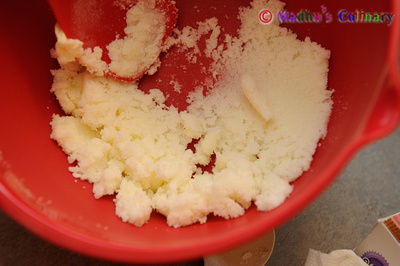 Add in the fine Sugar and whisk it along with the greasy Butter to make it like a fluffy cotton. 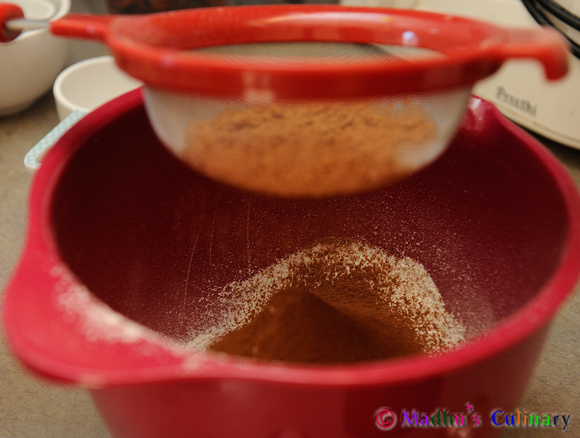 Now add the Vanilla Extract to the mix and stir it. 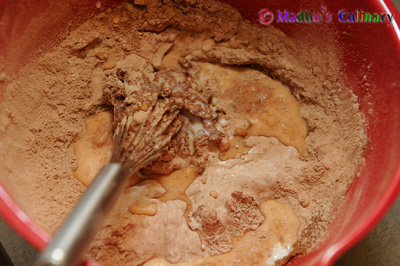 Take half of the sieved and mixed dry ingredients, ¼ cup of Milk and add it to the above mix. 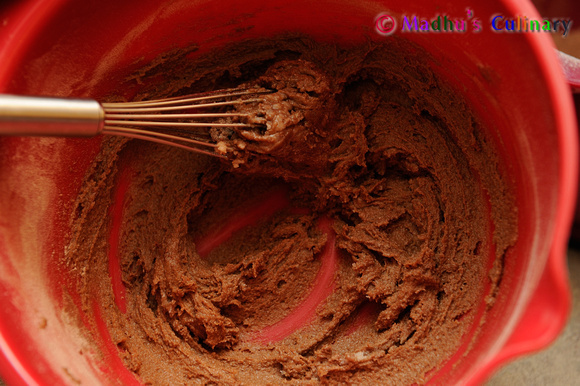 Whisk it until the texture is consistent and uniform. Now add the remaining sieved dry ingredients and the remaining ¼ cup of Milk. 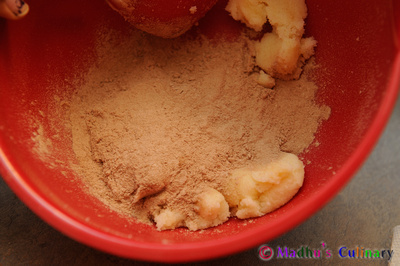 Whisk it to the same uniform texture. You can add little milk (2 tbsp at a time) to get it to the soft thickness as in the picture below. 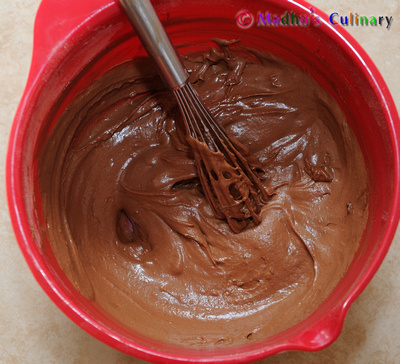 Now the Cupcake batter is ready. 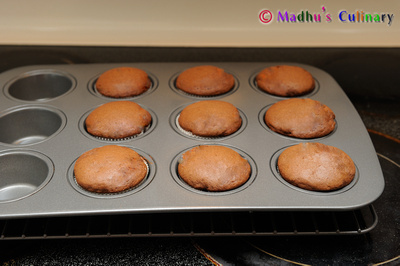 Take a Cupcake baking pan and place the Cupcake liners in it. Fill 2/3rd of each liners with the Cupcake batter. 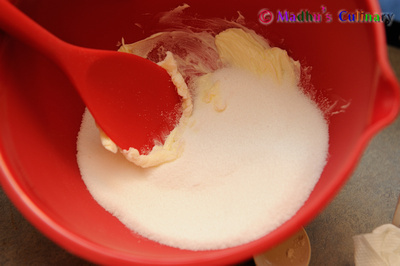 Pat the pan gently to fill the batter even in the liners. Pre-heat the Oven/Range to 365° F (180° C). 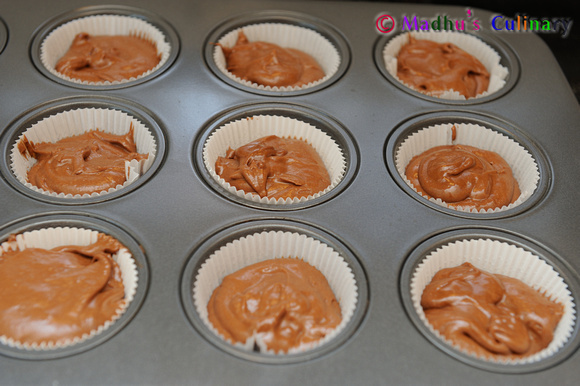 Place the filled Cupcake Pan into the oven and bake it for 20 min. 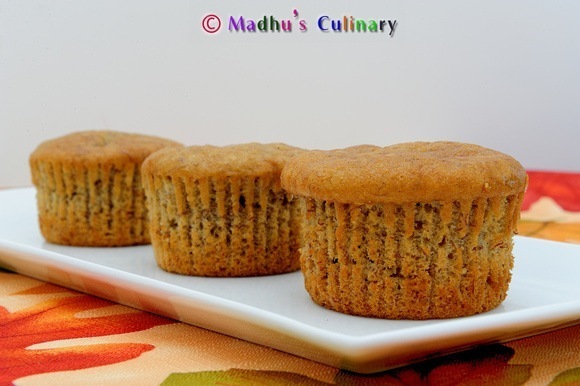 When done, insert a toothpick into the baked Cupcake. Nothing should be sticking to it – which a sign of good Baking. If not, bake it for few more minutes. 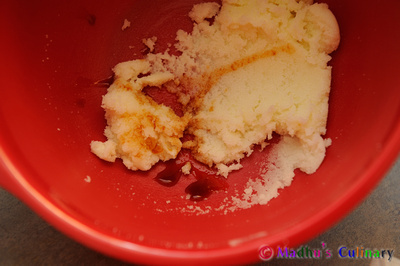 Once Baked, take it out of the Oven and let it cool for 10 min. Remove the Cupcakes out of the pan and place it in a cooling rack and let it completely cool. 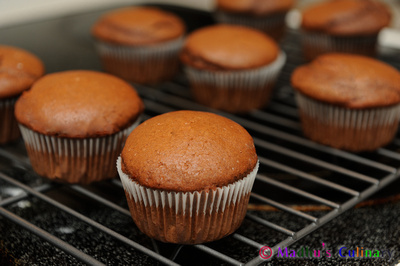 Decorate the Chocolate cupcakes with the frosting and shaping of your choice. I used Vanilla frosting. 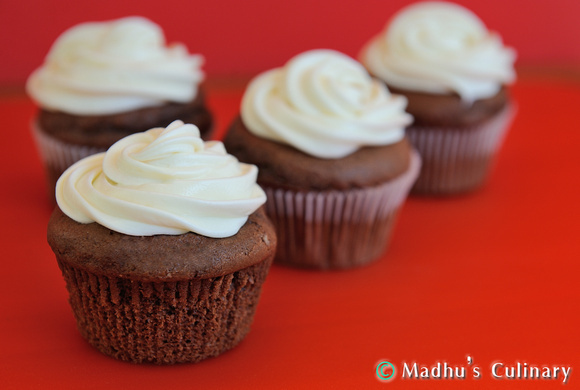 Enjoy the Yummy delicious Eggless Chocolate Cupcakes with friends and family.